Supporting both Gallagher brothers (at different times), dozens of major festival appearances (including opening for the re-formed Stone Roses at the City of Manchester football stadium in front of 50,000 people) hitting number one in the album chart with their first album and debuting at four with Cool Like You, the second; there’s no doubt that Blossoms have it all going on. So, what are they? Guitar band? Keyboard band? Pop band? Rock band? Blossoms are all of those and more. But what they totally are, without a shadow of doubt, is a song band with a great set of radio-friendly tracks. Blown Rose, Charlemagne, Texia, Getaway – all from the Blossoms album – and I Can’t Stand It and There’s A Reason Why (I Never Returned Your Calls) the first singles from the newly released follow up and pretty well every other number played at tonight’s crammed show had the entire audience singing (and bouncing!) along. 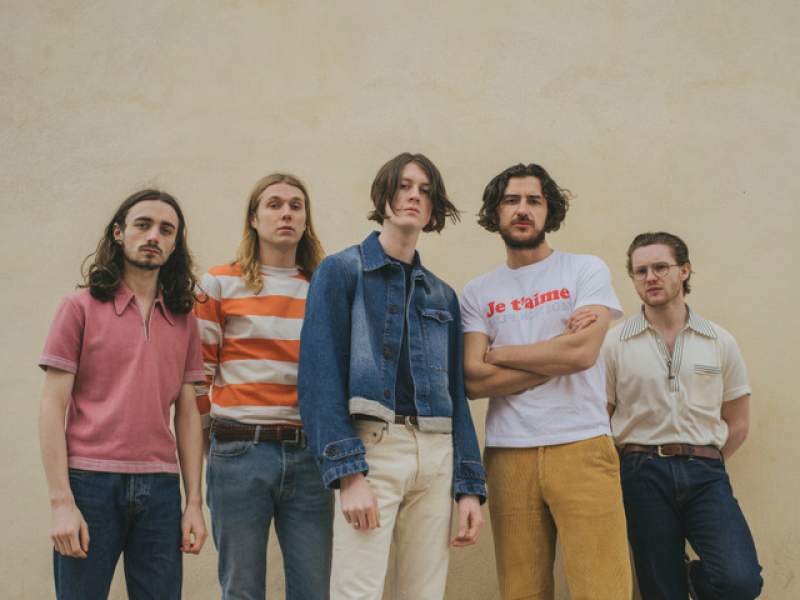 Blossoms have a set full of hook-laden songs, enthusiastically delivered. Tom Ogden mixes technique with naturally warm vocal chops and maybe a slight nod to early John Lennon, whose end of phase ‘oohs’ he emulates. As a lyricist Ogden dodges the mundane as on Blown Rose, possibly the only song in pop history to name check “the stately homes of England” and make it sound like a catchphrase that’s in everyday use. Blossoms’ instrumental sound is a mixture of Josh Dewhirst’s chiming guitar (a little low in the mix for us balcony dwellers), Myles Kellock’s retro keyboards which blends Wurlitzer, Hammond and church organ with a bit of fairground and Charlie Salt’s nifty bass licks. Kellock and Salt ramp up Blossoms’ pop pleasures by adding harmonies to Ogden’s lead vocals on most songs. Numbers from Cool Like You are well received, but as expected it’s the songs from the first album that people have had for over a year and played to death that go down the best. Last tune of the set was Charlemagne, the first song on the first album, and playing it as the final number was a nice touch. Band of the year? Can there be any doubt?